Lifes a Beach: Go photograph with your kids. Commercial photography is a lifestyle, not a job! If your business keeps you busy photographing on assignment or for stock, when the weekend comes around picking up the camera is often a chore. My former studio manager became a massage therapist a few years ago and I once asked her husband if he got a lot of massages and the his reply was a smile and rolling of the eye. Our business is our work! For years I rarely picked up a camera unless it was business related or traveling to shoot stock and I always felt a little guilt for never photographing great events like my kids, leaving that 'job' to my wife whom I bought a point and shoot. What a mistake, now that my son is in college and daughter soon wraps up high school. However, it is never to late to redeem ones self as I have re-discovered the joy of 'snapping pictures', something I teach my students to not do when critiquing their images. Obviously there is a difference when snapping pictures for fun and and creating images for business in which they turn out like snapshots. 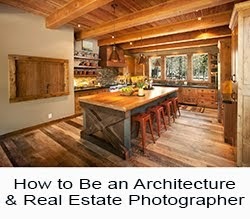 There is a clear difference between snapping pictures and building photographs and each purpose is clearly different. On my road to redemption, I recently purchased the coolest point and shoot camera: the Nikon Coolpix P5100. After chatting with Joe McNally a month ago about the one he had, I ran out and bought one. I love the fact I can carry it in my pocket, it is easy to operate, AND it is 12 mp-more resolution than my backup Canon 40D! My only regret is that i did not buy it at Amazon where I would have saved $100.00 on the price. My kids are mostly grown and if you have teens you know that they are beginning their own lives and rarely have time for you. Maybe its payback for the many times that my photography business took valuable time away from them. I was fortunate last weekend to yank my daughter away from her teen activities and head for a night at the beach with me in Seaside, Oregon. 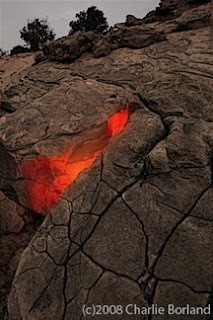 Seaside is our hot spot on the coast and the spring break capitol of Oregon. 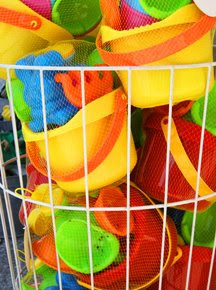 It's a fun spot with rides, aquarium, seafood, kite flying, and our famously clean beaches. My daughter is a star in her high schools photo program (I had nothing to do with it) and she loves photography! 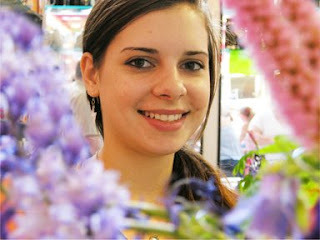 She is in her second year in the photo department which incidentally is run by one of my assistants from 20 years ago. They spend a lot of time developing B&W film and printing under the enlargers, something I haven't touched in 15 years. I kinda miss it! This year it was beginning digital so she has plenty need for my old Olympus 20N. If you think you have all the time in the world, you really don't. Go photograph with your kids! All shot with the Coolpix. 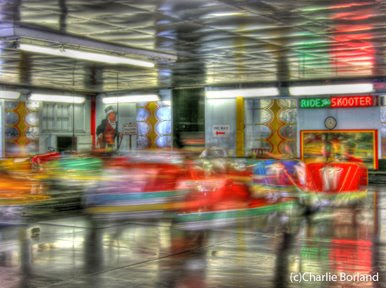 Bumper cars:I used the Coolpix to shoot three bracketed exposures (+2, -2, N) of the bumper cars and then used Photomatix to generate and tone map them. 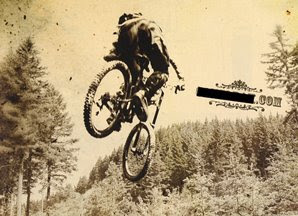 If you want to know more about this technique, visit Ben Willmore and his new DVD. 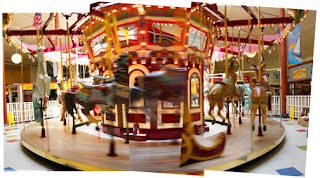 The merry-go-round and the Seaside panorama were shot in multiple frames and then stitched using Photomerge in Photoshop CS3. Truly amazing! 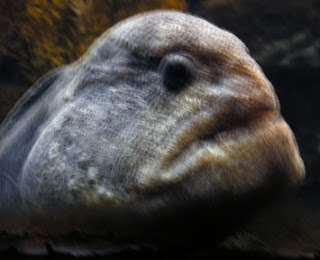 The handsome fish is a wolf eel. Beauty is in eye of the beholder! Keep Reading: Full Post and Comments! There is a lot of work out there for photographing business portraits. In fact it seems in this economy that there is more portrait work than everything else combined. Each photographer has there own techniques for lighting and mine has certainly evolved. 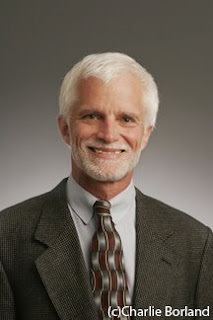 My portrait training came from schooling at Brooks Institute and the portrait program there was very classical. Rigid poses and lots of light. When it comes to business portraits today, the look is different and I have evolved my lighting style as such. 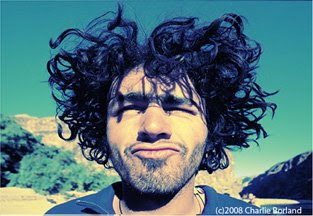 This portrait is your basic business head shot. The client will post these on their site, maybe a brochure, or email a file to a publication. When shooting this type of portrait you may be asked to shoot one person or the staff, but rarely do I have or need more than 10 minutes for a portrait like this. I like the look I get with two lights: a large light box, reflector panel, and background light. Simple! You just have to make sure that the lights are balanced meaning one is not to much brighter than the other causing the eye to get confused. The star of the photo is the businessman, so he needs to be the brightest with the background being a supporting light. Related Posts: Portrait Professional Software, Beauty Lighting with the Lovely Lenka Keep Reading: Full Post and Comments! 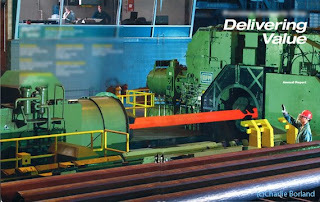 Industrial Photography and Photoshop: A match made in heaven! Photographing industrial locations as always provides plenty of challenges. 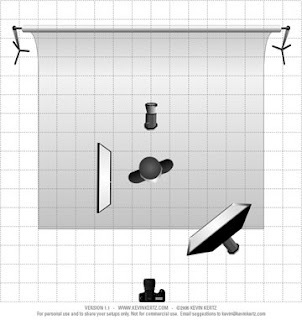 Often locations are huge, meaning you cannot own enough lights to light them entirely and must use ambient light. You have color shifts from sodium vapor lights or other sources, and if you have moving parts, it is pretty well known that on ‘photo day’, if it can break it will. Do you have something you wish to share with the readers of TCP? We are interested in publishing short pieces on other commercial photographers, articles on technique, Photoshop and photography, business and legal issue, assignments you have had, how you handled a job estimate or stock sale, and pretty much anything about commercial photography business that would interest working pros and aspiring photographers as well. 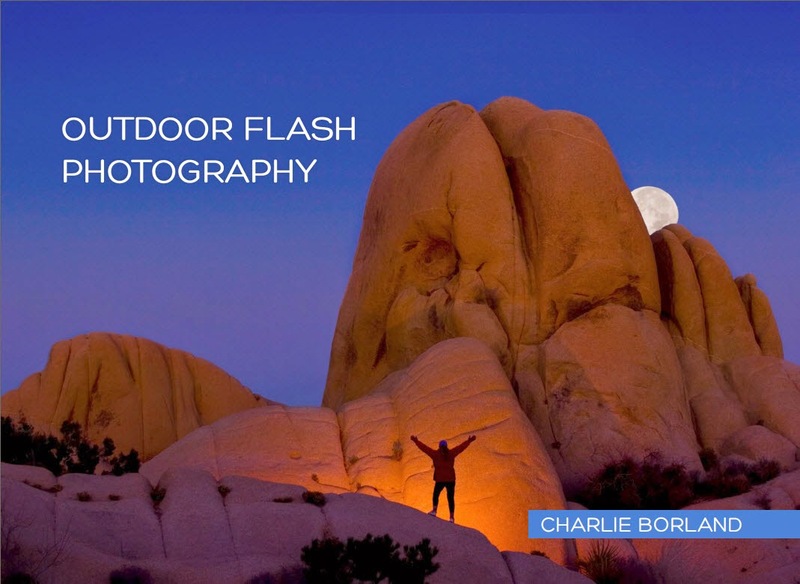 Email us your ideas: charlie@borlandphoto.com and mention TCP in the subject line. Once we have received your inquiry we will determine whether it is suitable for posting on TCP. Please understand that we make no guarantees. Keep Reading: Full Post and Comments! 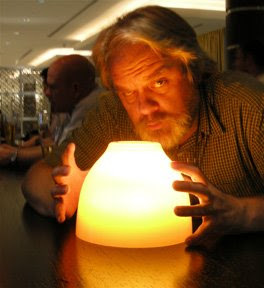 I was sitting in a bar recently with new friend David Hobby and others from the Gulf Photo Plus in Dubai where we were all leading workshops a few weeks ago. We were discussing the usual: photography, business, technique, and all while taste testing the local 'focusing solutions'. I had been playing with my new Nikon Coolpix P5100 when I handed David my camera to shoot this picture. It was a bowl that was on the table for whatever reason, and he had turned it over and placed a SB800 flash inside, capturing this lovely portrait of me. Flash photography is really fun! There are so many things you can do and like anything in photography, experimenting is the key. Here David placed the SB800 flash under the bowl and used Pocket Wizards to fire the SB800. Experiment: place a flash behind a rock, inside a window that you are shooting from outside, inside a tent, or on a light stand to shoot a portrait. There are plenty of resources on the net to learn about wireless flash. I teach an online class: Electronic Flash: The Mystery Revealed at PPSOP and we touch on wireless flash. If wireless is a passion of yours, check out David's site Strobist. 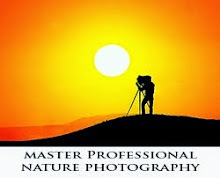 This is I am sure the largest online community and resource dedicated to wireless flash photography. Here is my best selling stock photo. A tent with a flash in it and triggered wirelessly. I love shooting this way. Another image from Grand Staircase-Escalante NM, Utah, where I teach a workshop each year. Here I placed the flash in the crack of some rocks and and used a orange lighting gel (Rosco) to color the light and then played in Photoshop with it. When should you ask for photography usage fees for the use of images you have shot? First, i am not referring to stock photographs, rather images you have shot on assignment. Usage fees for stock photo images are a different ballgame. As a stock photographer, you produce images at your own expense (most of the time) and when someone wants to use or publish that image, you are paid a usage (aka, license fee) in exchange for the clients right to use the image(s). There are occasions when photographers shooting on assignment charge usage fees above and beyond the assignment or shooting fees. When should you charge these fees or actually, when CAN you charge usage fees? I decided to write this post and give My Opinion on the subject after I was contacted by a former student of mine whom I will call 'Bob.' Bob took a commercial photography course from me last year. He is I believe in high tech and has a great paying job and job security, but his passion is photography and working as a pro is the mission he is on. As a part time educator, I am happy to help him. Bob has the motivation and passion to make it and he will, it will just take some time. He is doing all the right things from continuing to educate himself and to also study the business, attend ASMP meetings, and correspond with working pros. Bob was thrilled when he got in touch with me a week ago. He had done some photography on spec for an area hotel and they liked the work so much they asked for an estimate to shoot the rest of the hotel. He was ecstatic! Bob worked up a bid based on all that he had learned and sent it to me for advice. Unfortunately I was overseas and could not reply before he sent it to the client. The client received his bid and pretty much said that the costs were out of their budget. Bob understandably was disappointed. When you are starting your photography business, all clients are good clients and you need each and everyone of them! Bob based his estimate on what he has learned about the business from other pros and from the ASMP pdf Guide to Working with an Assignment Photographer. 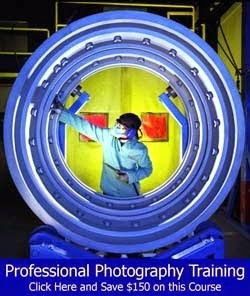 This is an excellent publication and a great guide for understanding business practices for assignment photographers. This publication gives an excellent overview of Usage Fees for images taken on assignment and other general business practices. Bobs estimate was rejected due to the price. He had a $1200 per day shooting estimate which is competitive in many markets. He also was charging $250 per day for the use of his lights, $100 per day for a second digital camera for backup, meals, mileage, 1 day of travel @ $600, $2 for each digital image capture, and another $250 for image optimization. These assignment and misc fees totaled just under $3000. Then there is the quote for usage fees which based on the clients use of a lobby kiosk and the website was another $5000. Bob has done everything right in his thinking of how to handle a project like this and the items he should be charging for. The problem is that this is not a reality for a client like this or in today's hyper-competitive markets. Let me say again: usage fees are a good thing and should be charged, but only when you have a client who expects to pay those, otherwise you quickly price yourself out of the assignment. Like any business, no matter what it is, you must qualify your clients. Some clients will understand the concept behind usage fees and others will totally not get it. When I work the local markets I am often competing against a lot of photographers and I can guarantee that most of them will not charge usage fees just to get the job. When I work on a national account and get the assignment because they want me to do it, I start right off asking what the usage is going to be and I work up anywhere from an additional 50% to 200% above the assignment fees. I call it the big leagues and the clients in the big leagues understand usage fees. They pay you a creative fee (assignment fee) and then additional fees based on how the image will be used. A national campaign brings the client much more value from your creative work than a smaller or local campaign so fees will be higher. So what types of clients can you charge usage for? I would say any client willing to agree and pay it. Now the hard part is determining who will pay it and who will not and I feel after 28 years in the biz, I have developed a good instinct on who I can bring the subject up with and whom I cannot. 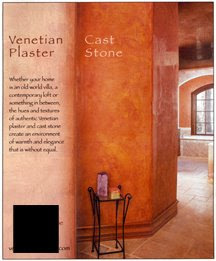 In this image here I was contacted by the owner of a venetian plaster business. The company had one employee, the self employed owner, and he decided to run an ad in a local homes magazine in a town of 50K. He called another photographer and got a day rate that was reasonable for the area, but a quote of several thousand more dollars in usage fees. The client called me. Here is a client who does not get it and rather than going and learning about usage, they call the next photographer. If the first photographer would have qualified the client he would have understood that this is a client is clueless to the concept of usage fees, and would have had the job. 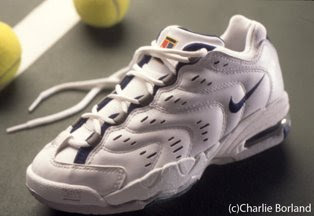 Nike was a huge client of mine in the 90's and i shot about 1.2 million shoes for them (really rough guess), actually I just shot a lot of shoes until they opened their own in-house studio. Usage fees, at least while I was working for them, would not be considered in any form no matter what. I am not saying this is official policy, it is more that the photo director was looking for the best price. I am not talking about their ad campaigns shot through their ad agency, rather working client direct. The photo production line of shooting shoes. If I wanted the work, the images were theirs. This tear sheet is from a shoot for a highly visible manufacturer of outdoor products. when I had my initial meeting with the ad agency, they told me right off the bat they wanted a 2 year usage. I gave them a quote to shoot the job and also a usage fee on top. No problem, they get it. Renting your equipment or charging the client to use your camera and lights to shoot the job??? This is recommended by the pro organizations, yet I know very few photographers who can get away with this. If you need your car fixed, are you using that full service shop or are you considering the mechanic who needs to rent space and tools to fix your car? Remember: as much as we want to be paid for our creativity, we are in the service business and with all the competition, those who provide the best service for the best price are the ones to prosper. I am by no means trashing the idea of usage fees, we need to charge for them when we can. The real point is the reality that they are not easy to get in today's market and you really have to qualify the client to determine if they understand and would pay it. Otherwise, it is very easy to price yourself out of some good assignments. 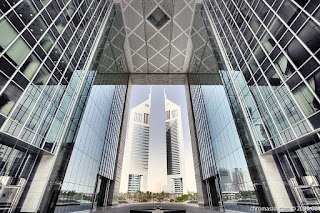 The hot topic of late for digital photographers and Photoshop users is High Dynamic Range (HDR) photography. My friend, David Nightingale, a photographer from the U.K., has mastered HDR techniques. 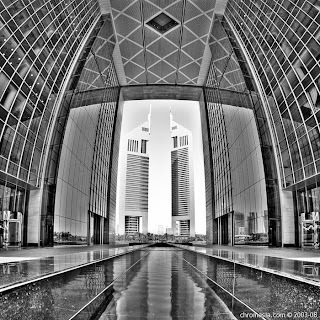 David and his company; Chromasia, are the recipient of numerous awards for photography and have been profiled in several magazines showcasing his striking HDR images. David's technique pushes the limits of the digital HDR technique. In case you are not familiar with HDR techniques, film and digital often do not have the ability to capture the full tonal range of a scene. If it is sunny and you want to capture detail where the sun is hitting and your composition also has large areas of dark shadows, the camera usually cannot capture enough detail in both areas. The HDR shooting technique is to lock the tripod down on the camera, tightly so it wont move, and then shoot your scene in a series of bracketed exposures. You want to make sure that you are bracketing with your shutter speed rather than aperture. Using the aperture means that depth of field would change with each exposure, so it is imperative that you bracket with the shutter. While some of the HDR software suggests three exposures bracketed +/- 2 stops, other photographers suggest 5 stops in +/- 1 stop increments for more detail. David's technique is up tp 7 stops in +/- 2 stop increments (depending on the scene contrast) to insure the capture of all data in both highlights and shadow areas. David then uses Photomatix Pro to combine the exposures that were captured during the sequence. 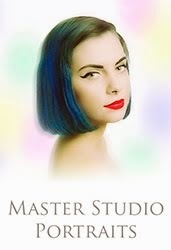 In early 2008, Chromasia Training was launched offering online training tutorials in a wide range of subjects that would interest the digital photographer. The tutorials include subjects on Digital Workflow, Lab Color, HDR 1 and 2, Masking, Toning, B & W, Curves, and more. The tutorials are well designed, well written, and are illustrated with before and after examples and including histograms for the varied exposures. And the price is right: the British pounds translate to roughly $10 US and that's a bargain for these lengthy tutorials. Please note: You can get a discount for any of their gear, not just this case, and the discount code is at the bottom of this story. 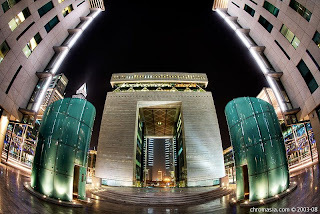 I recently traveled to Dubai with my friend Ben Willmore and as I lugged my beloved Lowe Pro Trekker backpack loaded with cameras and carried a briefcase through the airports, I watched Ben casually rolling his Think Tank Photo Airport roller case. As I asked about it, he showed me this wonderful camera case. First, it holds a lot of gear AND the laptop. My Photo Trekker carries the laptop as well...but on my back. The Lowe Pro is an amazing camera backpack and when I am wandering the wilds there is no better choice in my opinion, but for air travel I have formed a new opinion and am ordering the Think Tank camera case for air travel. Here is the seller in my opinion: you can lock the zippers to prevent opening the case. 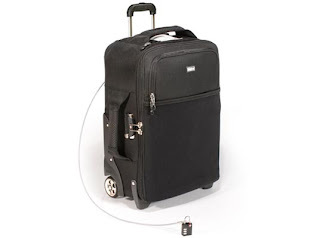 Of course you can do that with other cases, but this case comes with a security cable and lock that is built into the case to secure the laptop and another cable hooked to the frame that allows you to secure the case to any object. While travelling with Ben we visited an airport lounge and he cabled it right to the chair before we went to get some food. He also mentioned that he has secured it to the toilet if he needs to leave the room for long. Here's a horror story: A friend I will leave nameless was teaching a workshop in Miami's South Beach. When the group was done shooting, they returned to their rooms and dropped gear before meeting for dinner. Upon returning to his room after dinner, my instructor friends camera bag and laptop were missing from the room. The room had not been broken into, rather someone let them in. Hmmm. I contacted Think Tank Photo and told them I would be blogging about the bag and they gave me a discount code. If you want any of the gear and it is over $50 purchase price, use this code WS-151 and they will throw in another small bag of your choice. Camera security...priceless! There are many forms of fashion and beauty lighting in photography. Photographers working in this segment of the market are often known for their lighting style and the motivation is there to create a new look that is their own. While I was teaching at Gulf Photo Plus in Dubai last week, I had the chance to demonstrate beauty lighting for my Studio Lighting workshop with Lenka, a well known local model. It makes my job as the photographer much easier when working with pro models because they know how to work with the photographer and the camera . There are plenty of great opportunities for digital night photography after the sun goes down. Last night, while teaching at Gulf Photo Plus, I took my night photography workshop group from Gulf Photo Plus to the Madinat Jumeirah here in Dubai. 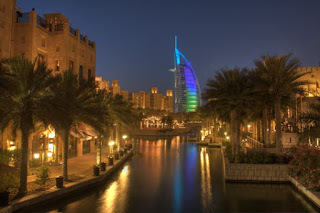 The 'Madinat' as most locals call it, is a beautiful shopping location in Dubai next to the Burj Al Arab, the most expensive hotel in the world. 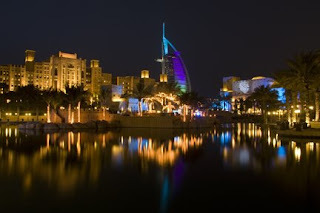 The area is very nicely designed in middle eastern architecture and colorful lighting displays. 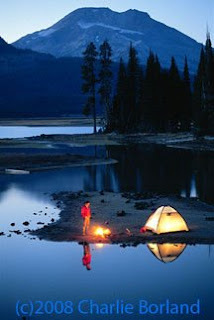 Eevening is a very popular time for locals and visitors alike to venture out as the hot days give way to warm evening's. The goal of the workshop was to photograph all this great color after the sun has set. When shooting the skyline, consider first the light sources of the scene. You have light outside and inside the buildings and you have the sky. One light source remains constant (the building lights) while the other changes (the sky). When it comes to your exposure, both sources need to be considered. The key to a successful skyline photo is to capture both the lights and the sky at a proper setting. After the sun has set and the sky darkens, the building light will eventually become brighter than the sky. The best shot comes from a proper balance between sky and foreground lights. The window of time where this balance is perfect is very short, maybe 15 minutes long. To capture this exposure properly, start shooting about 10 minutes after the sun has set and check your lcd. If the sky is to white or bright, wait 5 minutes and try another image. Continue testing and you will reach the point where the sky is balanced nicely with the building lights. When the prime time has passed and the sky darkens, you will get only building lights and no blue sky. Not nearly as exciting! 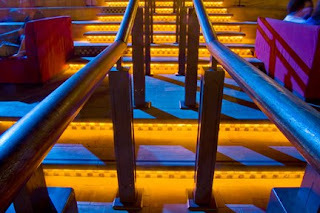 When the sky is to dark look for details such as the stairs and railing with bright lights and blue spotlight from the building roof. Here are some examples! You can see where the sky is to bright, to dark, and just right! Gulp that dinner down and go shoot! Ga' night! 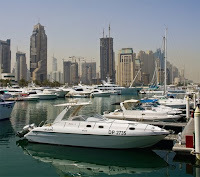 Certainly you have heard about Dubai and possibly you have visited or even live here. It is an amazing and very interesting country. I am here for the 3rd time, teaching at Gulf Photo Plus along with a distinguished cast of other accomplished photographers such as; Joe McNally (nicest guy in the world. National Geo/Life); Chase Jarvis and his team (another nicest guy in the world and advertising photographer/Seattle); Bobbi Lane (master portraitist and commercial photo goddess); David Hobby (photojournalist, lighting and flash genius, Strobist.com); Ben Willmore (best Photoshop instructor in the world); David Nightengale (Chromasia.com and awesome HDR master); Robin Nichols (Austrailia/publishing icon of photo magazines); Jack Piccone (globe trotting, camera toting road warrior and Brit living in Bangkok); Chris Hurtt (San Fran and rapidly rising star); Drew Gardner (an amazing shooter and very funny Brit with amazing work. Google him! ); and Manus Van Dyke (South African wildlife photographer. Looking for a photo safari?). We are all here, halfway through our week of teaching and educating photographers from all over the middle east region. It's an amazing place and the people are wonderful! Booming economy, high rise buildings under construction and sprouting up everywhere. The most expensive hotel in the world, the Burj Al Arab is here and we enjoyed a cocktail on the top floor last night. The cost I understand starts at $2500 per night. Motel $6000? Traffic is a bit of an issue and the air is full of a haze, some natural and some man made and the temperature is arising. For us westerners from more temperate zones, it is dang hot, sticky, and steamy. But it is a great place to visit for a while. The stagecoach has arrived in town! Yes, I admit that I am a bit slower than many others and a tad behind the times, but I am pleased to join the blogging community. So welcome to my very first post on my very first blog! Who am I? Nobody to most of the world, but in my area I am one of many commercial photographers. I have been shooting for close to 30 years for a wide range of clients and in a wide range of areas, both locally and nationally. Mostly in the U.S. and occasionally internationally. Commercial photographers in generic terms, are known sometimes as the 'jack of all trades' in professional photography, often shooting a variety of subjects that might be specialties for many others. This loosely used term should not by any means be interpreted that CP's are the 'handyman' of professional shooters. Rather, it is just the opposite. CP's really have a broader range of skills and are accomplished at solving a larger set of photographic problems. As a commericial photographer I love the variety of assignments that have been offered to me. These have ranged from advertising to product catalogs, sports fashion to industrial annual reports, adventure sports and tons of stock images. So stay tuned for more posts on the business, photographic techniques, other commercial photographers, and shooting and selling stock images.